Walgreens “Sun. Fun. 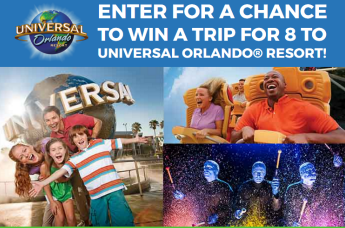 Done.” Sweepstakes & IWG – Win a trip to Universal Orlando Resort! 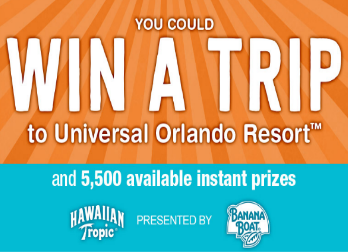 Win a trip to Universal Orlando Resort in Orlando, FL! ENTER SWEEPSTAKES HERE – Walgreens Sweepstakes page. You will have a link sent to your email after you fill out and submit the form. ENTRY LIMIT – Limit one (1) game play request per person/email address per day; and limit one (1) game play of any kind per person/email address/mobile phone number per day. ELIGIBILITY – Open only to individual, legal residents residing in the fifty (50) United States, the District of Columbia (“D.C.”) and Puerto Rico, who are 18 years of age or older as of the date of entry (19 or older in AL and NE). 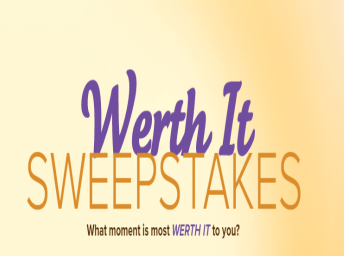 SWEEPSTAKES ENTRY PERIOD – The “Sun. Fun. Done.” Promotion consists of a sweepstakes and an instant win game (“Game”) begins on 5/6/18 at 12:00:00 AM Eastern Time (“ET”) and ends on 6/30/18 at 11:59:59 PM. 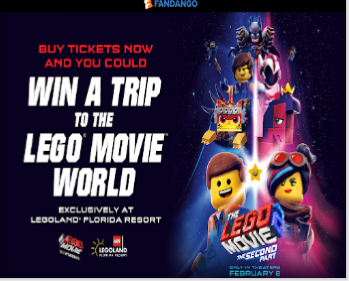 PRIZES – SWEEPSTAKES PRIZE: One (1) Grand Prize: a four (4) day, three (3) night trip for winner and up to three (3) guests (“Guests”) to Universal Orlando Resort in Orlando, FL (“Trip”). tax only) at Loews Sapphire Falls Resort or at another on-site hotel (as determined by Universal Orlando in its sole discretion); non-exclusive ground transportation to and from destination airport and hotel*. 3–Park 3-Day Parkto-Park theme park tickets for admission to Universal Studios Florida and Universal’s Islands of Adventure theme parks and Universal’s Volcano Bay water theme park for winner and up to three (3) Guests; and admission to one (1) performance at Blue Man Group Show (exact date and time to be determined by Universal Orlando in its sole discretion) for winner and up to three (3) Guests (collectively the “Trip”); and $1,000 in spending cash (for winner only – to be awarded in the form of a check from Sponsor to the winner). The Approximate Retail Value (“ARV”) of the Grand Prize is Four Thousand Seven Hundred Forty-Five Dollars and 93/100 Cents ($4,745.93). Trip must be completed by 7/31/19 or Prize may be forfeited. One Hundred (100) $15 Summer Fun Cash Cards will be available throughout the Promotion Period. Summer Fun Cash Card is a nonreloadable debit card. Four Hundred (400) $10 Gas Cash® Cards will be available throughout the Promotion Period. Gas Cash® Card is redeemable at participating U.S. gasoline stations for the purchase of gasoline. Five Thousand (5,000) $5 Walgreen Gift Cards will be available throughout the Promotion Period. 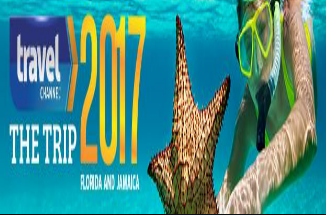 Travel Channel’s 2017 “The Trip” Sweepstakes – Win a trip to Florida & Jamaica! Win a trip to Florida & Jamaica! ENTRY LIMIT – Limit of three (3) entries per eligible person, per day (i.e. two (2) Grand Prize entries and one (1) Bonus Entry) during the Promotion Period. Bonus Entry: During the Promotion Period, each time an entrant submits his/her second entry per day, entrant will receive one (1) Bonus Entry for the applicable Weekly Prize drawing (as described below). The first two (2) entries each day will be entered into the Grand Prize drawing, but not the Weekly Prize drawing. ELIGIBILITY – This Promotion is open only to legal residents of the contiguous 48 United States and D.C. who are 21 years of age or older as of the Promotion start date. SWEEPSTAKES ENTRY PERIOD – Beginning at 9:00 a.m. Eastern Time (“ET”) on January 4, 2017 until 5:00 p.m. ET on March 24, 2017. PRIZES – Weekly Prize: Each Weekly Prize Winner shall receive the following (the “Weekly Prize”): one (1) Amazon Kindle Voyage e-reader. Approximate retail value (“ARV”) of each Weekly Prize: $200. The total ARV of all Weekly Prizes is $2,400. More details of the Grand Prize will be available on the Website on or about January 4, 2017. ARV of the Grand Prize is $100,000. No alcohol is being awarded as part of the Grand Prize. In lieu of receiving the Grand Prize trip package, the Grand Prize Winner may elect to receive Seventy-Five Thousand dollars ($75,000) (awarded in the form of a check) (the “Grand Prize Cash Option”). ARV of the Grand Prize Cash Option is $75,000. ARV of all prizes: $102,400. 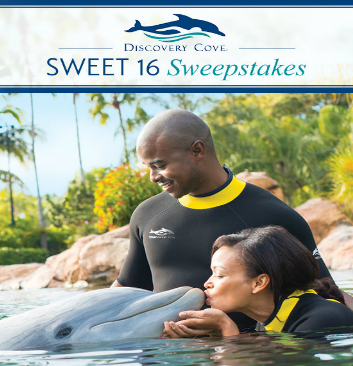 SeaWorld Discovery Cove’s Sweet 16 Sweepstakes – Win a trip to Orlando! 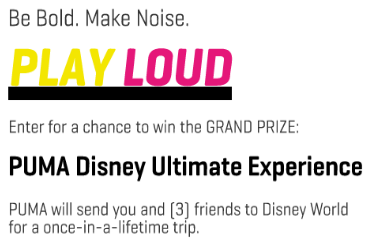 Win a trip for up to 16 people to Orlando, FL! ELIGIBILITY – Discovery Cove’s Sweet 16 Sweepstakes is open only to legal residents of the fifty (50) United States (and the District of Columbia) who are at least eighteen (18) years old at the time of entry. SWEEPSTAKES ENTRY PERIOD – The Sweepstakes begins on July 1, 2016 at 9:00 a.m. Eastern Time (“ET”) and ends on August 14, 2016 at 11:59 p.m. ET. must be booked at least twenty-one (21) days prior to departure. Travel and accommodations are subject to availability and blackout dates. Travel must be round trip. Approximate Retail Value: $15,000. 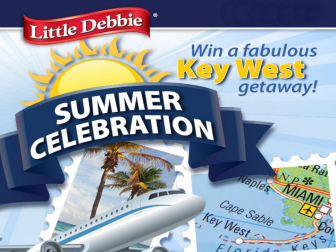 Little Debbie Key West Vacation Giveaway – Win a trip to Key West! Win a trip to Key West! ENTRY LIMIT – There is a limit of one (1) entry per person per twenty-four (24) hour period. ELIGIBILITY – The Giveaway is open to all legal residents of the forty-eight (48) contiguous United States and the District of Columbia who are at least eighteen (18) years or older at the time of entry (nineteen (19) years old or older for Alabama and Nebraska residents). SWEEPSTAKES ENTRY PERIOD – The Giveaway begins on Sunday, May 1, 2016 at noon Eastern Time(“ET”) and ends on Friday, September 30, 2016, at 11:59 AM ET. PRIZES – Grand Prize: The Grand Prize Winner will win a four night, five day stay at the Key West Marriott® Beachside Hotel in a standard king room; coach round-trip air transportation for two (2) from an airport reasonably close to the Grand Prize Winner’s city of residence to Key West, Florida(; and access to event planning and concierge services provided by Winspire, Inc. Airline baggage fees for one (1), non-overweight checked bag per person, as well as hotel and airfare taxes and service and processing fees, are included. All travel arrangements will be made by a designated Sponsor representative whose decisions regarding the itinerary are final. Selection of airline and airport shall be at the discretion of Sponsor or its designee. Grand Prize Winner and his or her travel companion must have valid travel documents prior to departure, and failure to do so may result in forfeiture of the Grand Prize. Travel must be booked a minimum of sixty (60) days in advance of travel dates and must be completed by October 31, 2017. Dates are subject to availability. Blackout dates apply. The Grand Prize Winner is encouraged to book early. The Grand Prize is valued at approximately $5985. 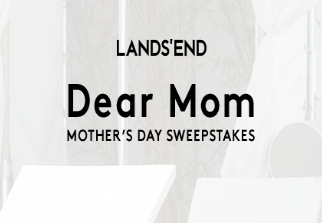 Lands’ End ‘Dear Mom’ Mother’s Day Sweepstakes – Win a trip to Ft. Lauderdale & more! Win a trip for 2 to Ft. Lauderdale & more! ELIGIBILITY – The Promotion is open to legal residents of the 50 United States (excluding Puerto Rico) at least 18 years of age (except Alabama and Nebraska 19 and Mississippi 21) at the time of Promotion registration. SWEEPSTAKES ENTRY PERIOD – Mother’s Day Sweepstakes begins at 9:00:00 AM Central Time (“CDST”) on April 8, 2016 and ends at 11:59:59 PM CST on May 4, 2016. *In the event the winner lives within 100 miles from Fort Lauderdale, FL, ground transportation only (not air transportation) will be provided to and from the hotel. Hallmark Channel Ultimate Family Destination Sweepstakes – Win a trip To Universal Orlando Resort! ENTRY LIMIT – Limit one (1) Grand Prize entry per person, per day, using only one (1) email address throughout the Sweepstakes. ELIGIBILITY – The Sweepstakes is open to all legal residents of the fifty (50) United States and District of Columbia who are 18 years of age or are the age of majority in his or her state, or territory of residence as of the Sweepstakes start date. SWEEPSTAKES ENTRY PERIOD – The Hallmark Channel Ultimate Family Destination Sweepstakes begins at 12:00 a.m., Pacific Time (“PT”) on April 8, 2016 and ends at 11:59 p.m. PT on April 30, 2016. Yankee Candle 2016 “#MyMargaritaville” Sweepstakes – Win a trip to Florida & more! 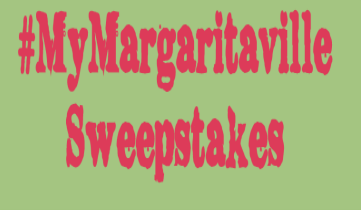 Win a trip to stay at Margaritaville in Hollywood Beach, Florida & more! ENTER SWEEPSTAKES HERE – Yankee Candle Sweepstakes page. ELIGIBILITY – The Sweepstakes is open to legal U.S. residents residing in the fifty (50) United States (including the District of Columbia) or residents of Canada (excluding the province of Quebec), who are at least eighteen (18) years of age or the age of majority, whichever is older, in their respective states (or provinces) of permanent residence as of March 28, 2016. SWEEPSTAKES ENTRY PERIOD – The Sweepstakes begins at 12:00:01 am ET on March 28, 2016, and ends at 11:59:59pm EST on April 18, 2016. PRIZES – One (1) Grand Prize, one (1) First Prize, and fifty (50) Second Prizes will be awarded. The First Prize Package has a total ARV of $1,149. Each Second Prize Winner will receive one (1) Tumbler Candle and one (1) Jimmy Buffett CD. Each Second Prize has an ARV of $25.